Tequan Richmond arrived in Los Angeles from his hometown of Burlington, North Carolina a little over 14 years ago. Tequan landed his first pilot for CBS a very short time after arriving in Los Angeles. He starred in an Aaron Spelling Production entitled “The Law and Mr. Lee” playing the grandson (Andre Lee) to Danny Glover (Henry Lee). Tequan had the opportunity to showcase his comedic chops playing the role of “Drew Rock” as a series regular in the hit television comedy “Everybody Hates Chris.” Chris Rock narrated and produced this hilarious half-hour show on the CW Network. The show also starred Tichina Arnold (Martin, One on One) and Terry Crews. With no plans of slowing down, Tequan made his way to Cape Town, South Africa to star in a remake of the cult classic, House Party called “House Party 5: Tonight’s the Night.” As Sundance 2013 rolled out the list of must-see films of the year, you could find Tequan starring alongside Isaiah Washington in a chilling performance playing one of the two Beltway snipers that terrorized the Washington, D.C. area in the thriller “Blue Caprice. Tequan can currently be seen as TJ Ashford in the long-running, daytime television show, General Hospital on ABC for which he has been nominated for two Daytime Emmy’s for Outstanding Younger Actor in a Drama Series. You can also check him out on the New BET show Boomerang on Feb 12th and Hulu’s All Night available now. 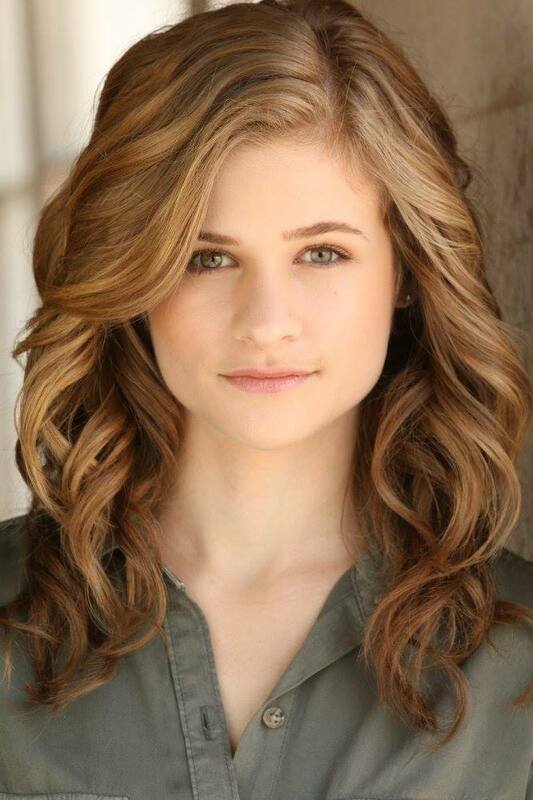 Jenna Boyd shot to stardom with the role of ‘Bailey’ in THE SISTERHOOD OF THE TRAVELING PANTS, earning industry attention and awards including a “Teen Choice Award” nomination. Jenna broke out as ‘Dot’ in Ron Howard’s thriller THE MISSING. Opposite Tommy Lee Jones and Cate Blanchett, her performance also earned multiple nominations and awards. She worked with Tommy Lee Jones in the William Friedkin film THE HUNTED, playing the estranged daughter of Benicio Del Toro’s character. Film audiences discovered Jenna’s comedic talent as ‘Sally’ in DICKIE ROBERTS: FORMER CHILD STAR, opposite David Spade. Co-starring roles include the independent film LAST OUNCE OF COURAGE, the Lifetime mini-series THE GATHERING opposite Peter Gallagher and Jamie-Lynn Sigler, the independent feature COMPLICITY opposite Sean Young, and written and directed by C.B. Harding, and the Lifetime MOW RUNAWAY opposite Sherry Stringfield and directed by Alex Wright. 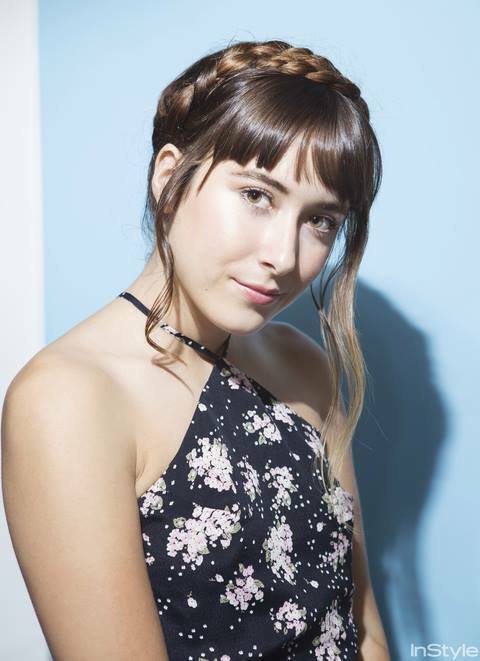 Aside from her highly regarded film work, Jenna has landed guest starring roles in such shows as CODE BLACK, CRIMINAL MINDS, GHOST WHISPERER, SIX FEET UNDER, CSI, JUST SHOOT ME and CARNIVALE. In 2003, the Young Artist Award Committee nominated Jenna for her lead role in MARY CHRISTMAS, opposite John Schneider. Past nominees include Reese Witherspoon, Leonardo DiCaprio, Elijah Wood and Frankie Muniz. Jenna was selected for the Hollywood Reporter’s “Ones to Watch” special issue honoring young actors in 2002. In addition to acting, Jenna was a competitive figure skater for thirteen years, winning many USFSA gold medals. Jenna attended Pepperdine University and studied abroad in Argentina. She is currently a small business owner in addition to acting. Christina Scherer broke into the business by sheer perseverance, appearing in guest spots on shows like “Grey’s Anatomy,” “Two and a Half Men,” and “True Blood.” She finally landed her break-out role in “The Intern” as Anne Hathaway’s assistant, sharing scenes with Oscar Winners Hathaway and Robert De Niro. Scherer beat out dozens of well-known actors vying for the coveted role. Besides her role as April in “Nowhere, Michigan,” Christina can next be seen in the independent feature “Interior Night”. When she isn’t filming, Christina engages in photography, oil painting, and creating her own projects. Richard Riehle is an actor’s actor who has appeared in over 200 films and over 50 different television shows as well as having performed on stage in many of the country’s most prestigious theaters. The list of films is as illustrious as it is extensive with memorable performances in films such as “Bridesmaids,” “Office Space,” “Casino,” “The Fugitive,” “Glory,” “Ghosts of Mississippi,” “Fried Green Tomatoes,” “Of Mice and Men,” and “Mysterious Skin.” He is a passionate supporter of new and independent filmmakers. Richard was also recently seen in “Pee Wee’s Big Holiday” for Netflix and “Bukowski” for director James Franco. Television audiences know him from series regular roles on comedies such as “Grounded for Life” and “Married to the Kellys.” His extensive list of dramatic roles, include performances include “Major Crimes,” “NCIS,” “Black-ish,” “Two and a Half Men,” “The Mindy Project,” and “Maron.” He is widely known for his many appearances in iconic television series including “The West Wing,” “Boston Legal,” “ER,” and “Allie McBeal” to name a few. Originally from Wilmington, Delaware, Seth is probably best known for his featured roles on NBC’s “30 Rock” and “Lipstick Jungle.” Seth is an immensely funny actor who also stars in his own one-man 90’s sitcom themed show “Certainly Seth” at the Upright Citizen’s Brigade theater. Seth was also featured as Henry on the hit web series “We Need Girlfriends” and plays Benny on the web series “Stop the Bleeding!” on which he is also a co-writer. It is our pleasure to introduce Nick Jax Slater in his debut film role as Steve. You may recognize Nick as the winner from Food Newtork’s “Worst Cooks in America” Season 8. Nick currently resides in Los Angeles, where he is building a career as a model, actor, and producer.